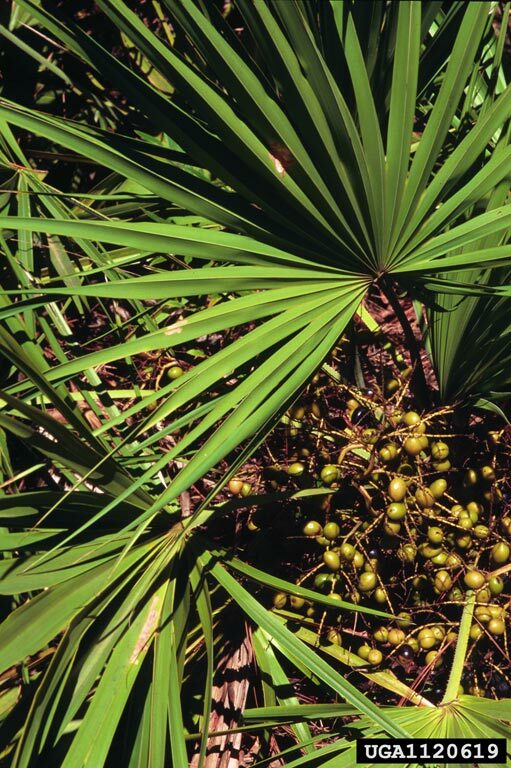 The term “palmetto” gets thrown around a lot in the plant world. 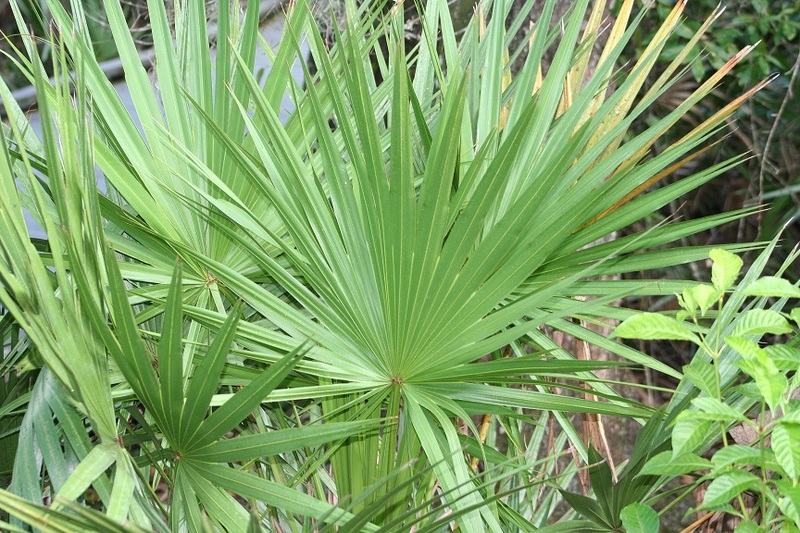 Sometimes “palmetto” is referring to the common name of the plant, or it could be the scientific name. 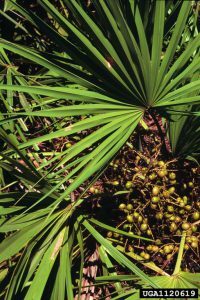 There is a reason botanists aren’t a fan of common names and prefer to use Latin names, and that’s to ensure they are talking about the same plant no matter where they are in the world. 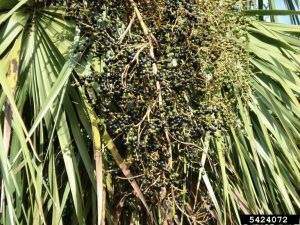 Today we are going to look at cabbage palm (Sabal palmetto) and saw palmetto (Serenoa repens) and how to tell them apart. 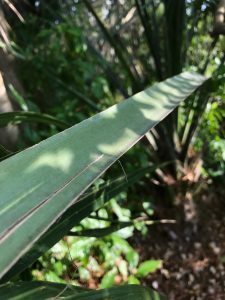 The stalk that joins the leaf to the stem of the plant (petiole) runs through the middle of the leaf blade, giving the leaf a folded and droopy appearance. Also note visible fibers present. Rounded outline, more erect appearance and generally smaller leaf, lacking fibers. 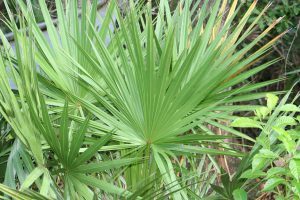 Leaf of cabbage palm. Photo Credit: Pinellas County Government. 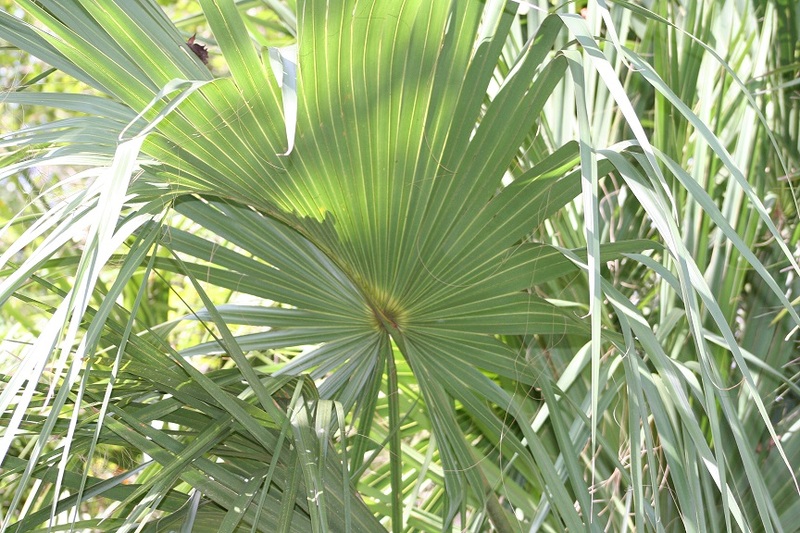 Leaf of saw palmetto. Photo Credit: Pinellas County Government. Long (6-7 ft), strong, stout, stiff and flattened above. 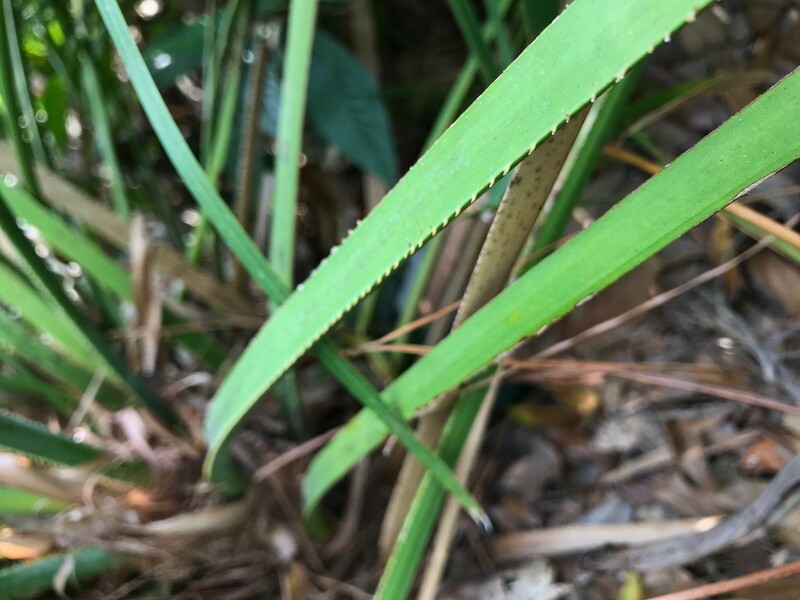 Note again that the petiole runs through the middle of the leaf blade, coming to a point, and lacks “teeth”. 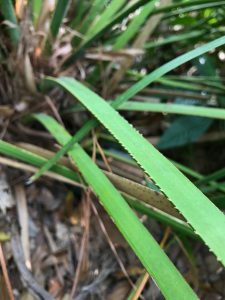 Shorter (1.5-3ft), more slender with curved prickles. Petiole stops abruptly and squarely at the leaf base. 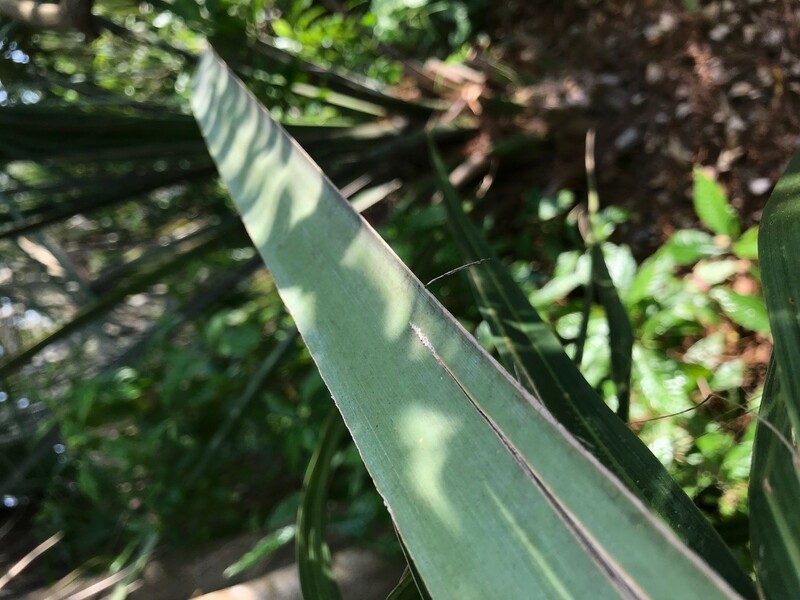 Petiole of cabbage palm. Photo Credit: Lara Milligan. 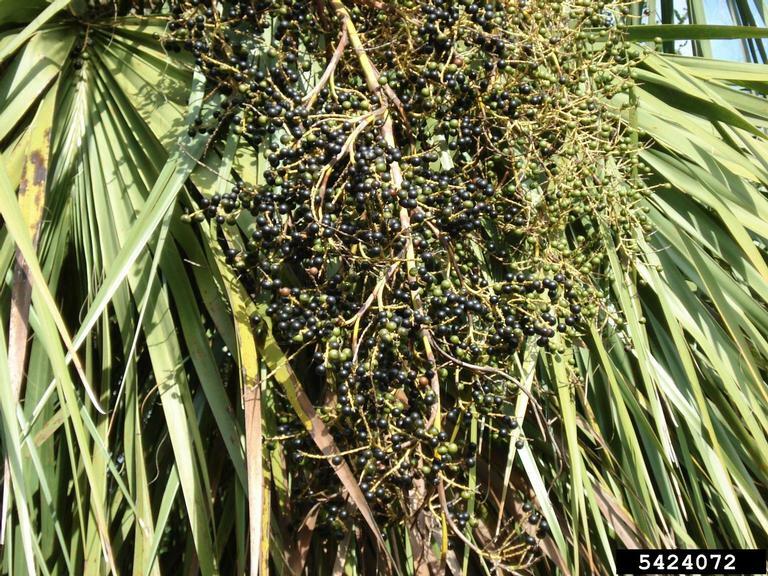 Petiole of saw palmetto. Photo Credit: Lara Milligan. Both species flower around the same time of year between May and July, but the fruit these fertilized flowers produce are quite different. Small (1/2 in long), rounded, lime green fruit that becomes shiny black at maturity. Larger (1 inch), more egg-shaped, shiny golden-green fruit turning orange-yellow and eventually bluish-black when mature. Both of these plants are excellent sources of food and shelter for wildlife. Fruit from both species are consumed by white-tailed deer, songbirds, squirrels and wild turkeys. 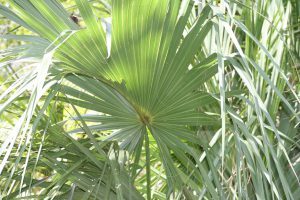 Cabbage palms serve as excellent nesting sites for the gray squirrel and if left unpruned, great habitat for our native bats too! Lara Milligan is the Natural Resources Agent for UF/IFAS Extension Pinellas County. Her work focuses on wildlife, water, and general environmental education.